Principal security firms united in a joint effort dubbed Operation SMN against the cyber espionage group known as Hidden Lynx and its arsenal. 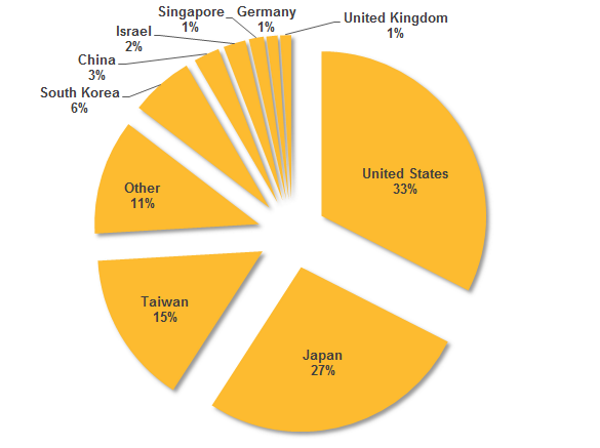 The Hidden Lynx APT is a China-based group of hackers that conducted numerous cyber espionage campaign against U.S. defense contractors and other foreign organizations. The name Hidden Lynx was assigned to the APT by expert at Symantec because they discovered a string with this name in the command and control server communications. According to the experts, the Hidden Lynx group is a hackers for hire” time which appeared more aggressive of well-known groups such asAPT1/Comment Crew. As reported in the following Infograph, the Hikit backdoor has been used in cyber espionage attacks against a large number of entities in the US, Japan, Taiwan, South Korea, and other counties. The Hidden Lynx APT targeted practically every industry, including government, technology, research, defense and aerospace. A joint force of experts composed by researchers from principal security companies (Symantec, Cisco Systems, FireEye, F-Secure, iSight Partners, ThreatConnect, Tenable, Microsoft, ThreatTrack Security and Volexity) conducted an operation dubbed ‘Operation SMN’ to target the Hikit backdoor and other malware used by the popular group. “A coordinated operation involving Symantec and a number of other security companies has delivered a blow against Backdoor.Hikit and a number of other malware tools used by the Chinese-based cyberespionage group Hidden Lynx. Dubbed Operation SMN, this cross-industry collaboration has seen major security vendors share intelligence and resources, resulting in the creation of comprehensive, multi-vendor protection which may significantly blunt the effectiveness of this malware.” announced Symantec. The operation allowed the expert to exchange threat intelligence data on the cyber threat, precious information on the techniques, tactics and procedures (TTPs) which characterized the operations of the Hidden Lynx team. Hikit is an insidious remote access Trojan (RAT) that has been used in attacks since 2011, security experts detected it as essetial malware in the arsenal of popular Chinese APT groups, including Hidden Lynx and Pupa (Deep Panda). A comprehensive technical report about the operation is set to be released October 28th.